Yeah Yeah Yeahs continued to support their new album Mosquito with an appearance onLate Night with Jimmy Fallon last night. Karen O, Nick Zinner, and Brian Chase ripped through “Despair” — watch the replay below. The band has a busy summer ahead of them with festival appearances scheduled atFirefly, Outside Lands, and FYF Fest. 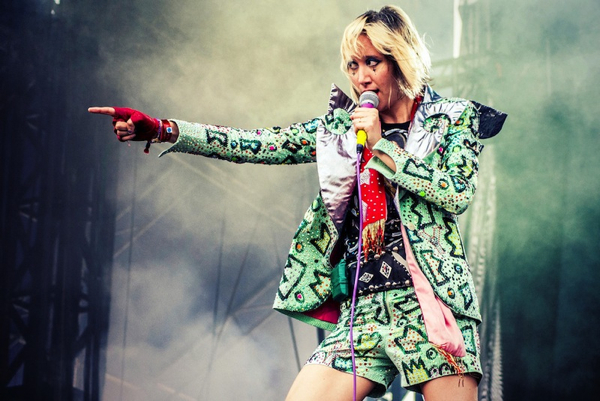 As you make your way to one or all of these festivals, might we recommend you read our recent feature on Yeah Yeah Yeahs’s Fever To Tell, in which our writers compose short stories inspired by tracks on the album.